Where do you turn if you’re looking to buy silver in Chicago? With reputation so important within this industry, thankfully there are several longstanding coin shops that have spent decades selling rare coins in Chicago. 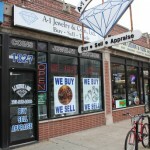 A-1 Jewelry & Coin has been a Chicago coin destination since 1984. This family owned and operated business specializes in buying, selling, and appraising coins and currency. In addition to supplying coin collectors, the shop also buys and sells jewelry, diamonds, watches, flatware, and other high-end items. A1 is known for reasonable prices and offering a wide variety of coins and bullion. The selection of coins available in-store changes rapidly, so there’s always something new to see here. Visit their showroom to buy silver in Chicago, or shop online through their eBay store. Kedzie Koins specializes in rare coins, specifically historical U.S. coins. In addition, the company stocks many forms of bullion in gold, silver, and platinum. 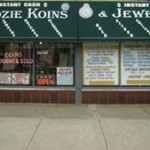 Perhaps the best known Chicago coin dealer, Kedzie Koins is a family-owned and operated business that has been at the same location for over three decades. 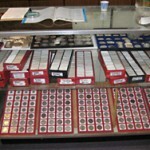 This is one of the midwest’s leading dealers in coins and antique gold and silver items. Beginning collectors and seasoned collectors alike enjoy browsing the wide selection available here. Kedzie Koins has a reputation as a trusted source for high-end rare coins. If you’re looking for something specific to add to your collection, submit a coin request, and Kedzie Koins will do their best to hunt down your coin, if they don’t already have it in their vast inventory. Niles Coin Shop has something for everyone, whether you’re a beginning coin collector, searching for high-grade rare coins, or an advanced precious metal investor. Located just a few minutes north of Chicago in Niles, Illinois, Niles Coin Shop is an authorized PCGS and NGC dealer. They are known for a vast inventory on hand at all times, knowledgeable staff who can help you make good buying decisions, and competitive pricing, even when compared to shopping online. The shop holds an auction every other Tuesday night where you can find great deals on numismatic collectibles. Note that the sales tax rate in Niles is 9.50%, which is 0.25% less than the tax on items sold within Chicago city limits, so if you’re near Chicago and are looking to buy coins in bulk, going a little outside the city can mean getting a break on taxes. Within Illinois, there is no sales tax on legal tender, currency, or coins issued by the state of Illinois, the U.S. government, or the government of any foreign country. There is also no sales tax on precious metal bullion. As a result of these sales tax exemptions, shopping at local Chicago coin shops can be an economical way to invest in coins and bullion.